Wah program reviews 2018; legit or scam? There have been so many Wah programs online through the years. All these programs are versions of each other. In this review of the 2018 Wah program, I will list several Wah programs as was advertised online and give you an overall description of this program. PS. since I wrote this review, many more WAH programs have been release. Some of these are the computer Prowess, computer community program, online target program, online outcome program, computer initiative, computer everyday, computer entourage, computer expert, computer savvy and computer assurance. I have reviewed some of them but, it is hard to keep track of all these programs. You need to know that they are all the same scam (wolf in sheep clothing. Do not be fooled). Please be wise. What I know about this program is that it keeps evolving as it is called many different names from time to time. But there is a constant among all these Wah programs; they are advertised as the program that helped a mom make thousands online. This mom usually goes by many names; lately, she has been named Melissa Johnson. This same ad has been running for years and every few days, they change the name of the program but every other thing on the page (story and testimonials) stay the same. The popular name they use for this program, the WAH program stands for the work at home program. Below are four images of some of the latest WAH programs. They make it look like all of these programs are different and owned supposedly owned by different people but I know better. Just because they changed the name of the owner and the name of the program does not make if different. The names on the page are just aliases anyway and all these programs are owned by the same person who is currently unknown. When I started reviewing the Wah program, it was owned by Bobbie Robinson in 2016. There was a video of a young woman who claimed to have made so much money with this program that she was helping others do it too. It turned out this was a scam and many people fell for it. These poor people spent the months after trying to get their money back to no avail. Then when things calmed down a little, they introduced the Robin Moore Wah program. This one was no different from the other one. The owner changed supposedly, the images changed but the story never changed. This was early 2017 and thousands fell for it too. After these two, there has been, the Robin Kate Moore Wah program, the Angela Bussio wah program and lately the Melissa Johnson Wah program. All of these programs have sold the same scheme to people for years. They have so many red flags. Below is a list of some of the prominent ones. The first thing to note about the Wah program and any other similar programs is, how they put in a lot of effort to make you feel like they have been featured on major TV networks like CNN, NBC, ABC and the likes, by displaying these logos boldly. They know when you see this, you will think “if CNN approves this then it must be safe”. You couldn’t be further from the truth. Take big examples like Walmart and Amazon; if you go to their website, you won’t have any doubts it’s theirs because their logo is supreme not another person’s. The second red flag occurs when you try to leave the page. You get a pop up begging you to stay three or four times. You are told how you will get a discount if you stay plus they have found so and so positions in your area. They will remind you how this is a once in a lifetime opportunity and you need to hurry and commit to the program because positions are limited. If you ask me, this is all bull poop!. If they are as popular as they say, and have made so much money with their program, why are they so desperate for your money? They start by say it will cost $97 then they offer you discounts until it is $47; Weird. They claim that they will shut down the site once they have reach their target number. But if you go online the next day or week, the story will be exactly the same. Positions never run out because they won’t stop trying to make money. What they will do is change the name of the website, change its owner and make you feel like it is something new, when it is not. The very idea that you can make thousands of dollars just in a matter of days is a red flag on its own. If you won the lottery or came to some inheritance yes but you will not make thousands of dollars in days posting links. There are people online making thousands of dollars from online marketing but these people are experienced entrepreneurs who have put in so many hours and days to achieve this. It takes a lot of hard work and patience. This program is a link posting scam. They teach you to post fishy links on sites like Facebook, Google ads, twitter, pinterest and the likes. These links are supposed to take people back to their website where they will tell them exactly what they told you and get them to post links too. They know that it will take lots of links for them to make money as for every 100 people who visit their site, 2 will join the program. So they use people like you to do the dirty work for them. By the time you realize this and back out, you would have posted many links for them and this will help them scam even more people. Many people don’t go back to take down the links they posted and those who try do not succeed to take them all down. When you join this program, you give them personal information which can be used for money. They can sell your information to the best bidder and you will be swamped with junk mail and unnecessary phone calls. What are you looking for; a job or a business opportunity? There is a difference between these two categories. A job online is like any traditional brick and mortar job where you put in an application, wait for interview and if hired perform a particular duty for pay. If you are looking for a job, read my post about the top 100 companies that offer legitimate telecommunication jobs. You can also browse my website for other post related to this. The other part is an online business opportunity. This is like a regular brick and mortar business where you aim at building a business online and go through all the stages like naming it, presenting it to the world and then making money. The Wah program is a business opportunity, not a job. First it requires you to pay to participate; with jobs, the employer usually shoulders the hiring expenses. Second, it states in their disclaimer that there is no guarantee that you will make money. This is only true for business opportunities. If you came across the Wah program because you were looking for a business opportunity, you probably went to the wrong place. You have a very low chance of succeeding with them because they teach you little or nothing about online marketing. Is there another way to make money online legitimately? Don’t lose hope, because there are so many scams out there. It does not mean there are no legitimate work from home businesses online. 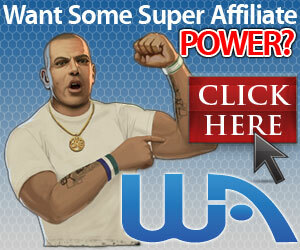 Actually, I am going to recommend wealthy affiliate for you. With this starter membership, you can get a feel for the program and if you like it, you can upgrade to premium which is $49 a month. If you don’t like it, you can leave on your own terms. Below is a list of 100 companies that offer work at home jobs. You can read reviews of each job by clicking on it. I bet you can find a work from home job you like from this list. Patiently go through and read their reviews and apply for a few of them. Thanks for sharing this article on WAH program. I must commend your effort in putting this article together to share with us. There are many red flags about this program which shows that it is not worth wasting time upon. This is just like every other scam applications. First the name of owner was Bobble Robinson and later it changes to Robin Moore Wah program. This enough shows that they have no credibility. It is a no for me. Thanks for sharing this article. I was scammed by this program so, for me it is very personal. If I can help as many people as possible avoid it, I will be happy. They continuously change their tactics to throw people off. I hope most people will do their due diligence and investigate about programs like this, before joining. As far as I am concerned, the WAH program is one of the biggest scams online. I am so glad there are people like you around who research these companies and provide us with reviews. Through your experience you are in a position to warn us of the many different names this one company uses to scam people. Although I do sometimes wonder how people can believe that making money online is as easy as posting links, it takes a lot of time and effort to make a successful business. Thank you for the heads up on this obvious scam!